Editor's Note: This is an excerpt from the book "Building Information Modeling: Automated Code Checking and Compliance Processes" by Dr. Nawari that was published by CRC Press on February 12, 2018. The advancement of technology has uninterruptedly engaged the design profession over the past several centuries. Recently, the construction industry has started to engage information technologies more effectively to incorporate its design, construction, and operational processes. However, there are still manual processes, the duplication of business functions, and the sustained dependence on paper-based information management to record and exchange data among project participants, as well as the reviewing and verification of compliance with regulations. This book aims at the concept of automation in the building design process by utilizing building information modeling (BIM) to assist in computerizing and streamlining the communication and compliance verification of building design data against codes and regulations. Specifically, it represents the confluence of multilayered concepts and frameworks ranging from logic theories and cybernetics to BIM. The book covers current and emerging trends in automating the processes of examining-construction documents against building codes and standards of practice. The role of BIM technologies in these methods and how this new technology is significantly transforming twenty-first-century practice activities in architecture, engineering, and construction (AEC) domains are thoroughly analyzed. The book also introduces the fundamentals of computerizing the process of verifying the compliances of building design documents against regulations and standards. These include domain knowledge representations, building model representations, and automated code-checking systems. An underlying goal for the material covered is to present the use of BIM technology as part of the computerized auditing process that can lead to a more comprehensive, intelligent, and integrated building design—a design where an optimized solution can be achieved in harmony with the current codes and standards of practice. 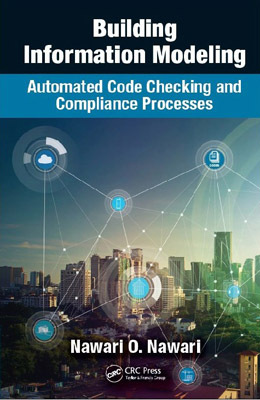 A new comprehensive approach and a framework formulation for automating the code compliance checking process is proposed and presented in this book. It differs from most of the currently offered methods in that it is not based on proprietary, domain-specific, or hard-coded rule-based representations. Most of the current techniques have the disadvantages of being costly to maintain, inflexible to change, lack a universal framework for rules and regulations modeling that can adapt to various domains, and thus don’t support an open neutral standard. These methods may be successful in their particular domain implementations, but they lack a universal framework. The book offers a new framework that is based upon an open standard (Industry Foundation Classes or IFC) which automatically or semi-automatically validate design documents against a specific building code or regulations founded on data-driven design technologies. The framework enables synthesizing streams of building codes and regulations data into a computable model that can interact with the building information model to yield results that are informative in a broad sense about compliances and co-generative in the design process. The suggested approach would read an object-based building model and audit the model against a selected set of standard object-based constraints. For building regulation clauses requiring subjective and qualitative performance, different methods need to be considered. On the one hand, the qualitative part of the building code requires feature extraction techniques of specific data scientific concepts to enable full encoding. This includes the transformation of restrictive and dependent building regulations into a set of rules using object-based model. On the other hand, for the vague and incomplete information in the building code, the framework proposes feature extraction of all ambiguous information and uncertain data, and then employ partial encoding using fuzzy logic, neural network algorithms, or combinations of these systems. This BIM-based approach for automating code conformance checking is one of the most powerful methods presently available that is closely simulating real building code requirements and aims at accelerating the integration of the automated code conformance auditing framework into the National and international BIM Standards. Thus, this book contributes significantly to advance an open neutral automation environment for software developers, researchers, and AEC professionals. The book is divided into five chapters. 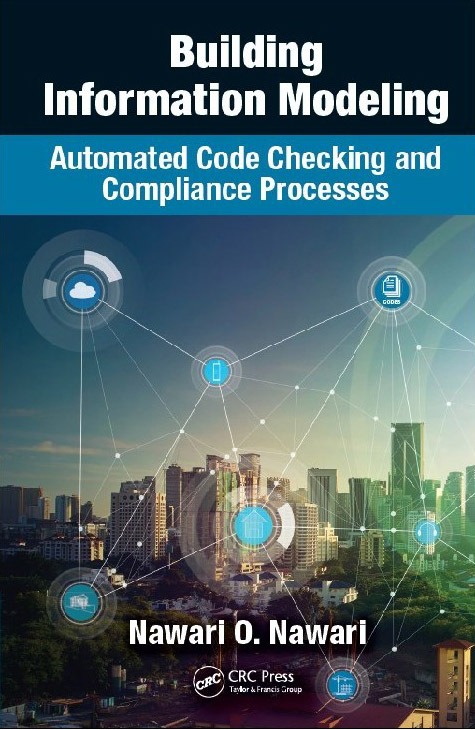 The first chapter covers the general introduction and gives an overview of automated code compliance verification concepts, basic principles, and methods. Chapter 2 focuses on the domain knowledge representations. This chapter comprises the first step in the automatic process of compliance checking of building codes which includes the computable description of the context and content of building regulations. This involves an interpretation process where the semantic structure of each regulation is transformed into rules or parametric models using certain formal languages representations. These are then interrogated and acted upon by bespoke software applications. Chapter 3 introduces Building Information Modeling (BIM) and its role in the AEC industry and how it is revolutionizing and reshaping the workflow in the industry. BIM is effectively changing the character of computation in building design and construction by generating a database of building objects used for all phases of a project, from conceptual design to construction and beyond. This chapter describes the relationship between BIM and the automated code checking processes. It gives key definitions related to BIM and automation of rule checking mechanisms and explains the importance and principles of IFC data schema naturally and efficiently. Chapter 4 deals with the most commonly used automated, rule-based code checking platforms as well as recently emerging systems. The chapter highlights their capabilities of automating design checking process, the flexibility of modeling design information, the flexibility of encoding building codes and domain knowledge, the capacity of providing friendly reporting systems and 3D visualization, and the ability to integrate with other applications. Some of these systems are considered “black-box” methods, in which user has insufficient access to the rule creation engine; others are “Gray-box” methods where users have some flexibility to modify specific rules. Furthermore, this chapter covers in detail Artificial Intelligence (AI) techniques in automating building regulations compliance verification. The AI methods of modeling human languages (English, Spanish, Hindi, etc.) use various Natural Language Processing (NLP) algorithms to drive meaning from the provided natural language text. Natural Language Processing (NLP) as a discipline has been developing for many years. The NLP applications can range from summarizing news, verbal understanding commands in your smart device like Apple Siri and Microsoft Cortana to automating building rules extraction. The last chapter centers on introducing a new innovative approach for automated building regulations conformance checking. This new method offers computable models with precise syntax and semantics that can be used to represent and reason about building codes requirements and provisions. Moreover, this approach is well-suited to the software providers by satisfying software engineering principle such as reducing model complexity or making implementations reusable in varying contexts. The goal is to develop a universal format to exemplify building regulations and the BIM model. Reduction of complexity is a crucial element for the development of this proposed method to support the automation or semi-automation of the building regulations compliance examination. The proposed method has been demonstrated in this chapter by utilizing a case study of building code compliance checking for a two-story building using Florida Building Code 2014 (FBC). Dr. Nawari is an associate professor in the College of Design, Construction and Planning at the University of Florida, USA, where he has served on the faculty of the School of Architecture. Dr. Nawari has more than twenty-five years of experience in design, teaching and research specializing in Architectural Structures and Building Information Modeling (BIM). 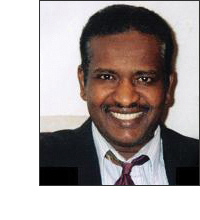 He currently serves as the Assistant Dean for Graduate Education of the college, and is a board certified professional engineer in the state of Florida and Ohio. He has written and co-authored over 150 publications and three books, and is a frequent contributor to and speaker at ASCE conferences.